From large family homes to brand new apartments and townhouses, more than 4,000 new homes have been built since 2002 and a further 900 are planned by 2021. Almost every home in Wythenshawe has a garden and many flats do too. Wythenshawe is Manchester’s original garden city – built on the principles of being ‘close to town and country’ and this remains true today. Only seven miles from Manchester’s City Centre but surrounded by South Manchester’s most affluent suburbs and directly linked to the Cheshire countryside. Wythenshawe’s population density is 24.9 people per hectare, compared to the city’s 39.1 people per hectare. That’s 57% more space per person. 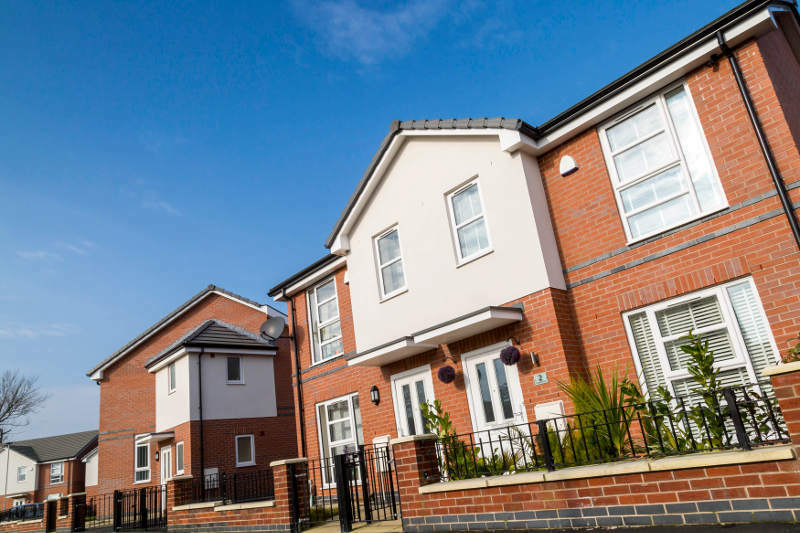 Private housing accounts for 67% of Wythenshawe’s total housing stock and over 3,000 new homes have been built in the last 10 years, adding to the availability and variety of private sector housing in the area for existing residents and newcomers. Wythenshawe Community Housing Group manages a combined stock of almost 14,000 properties, and new housing stock is accessible for first-time buyers through a mix of outright purchase, shared ownership and rental. Significant investment by Manchester City Council and partners has provided new community buildings that provide learning, health, leisure, childcare, sport and other activities and opportunities for adults and children. Wythenshawe was built on Garden City principles being close to 'town and country' and boasts 18 woodland areas and tree coverage which is almost double the average for towns in England. One of its woodland areas – Princes Spinney – has Site of Special Scientific Interest (SSSI) status. Wythenshawe Park covers over 270 acres of green space and is home to Manchester’s only community farm. At the centre of the park is the historic Wythenshawe Hall with its Civil War and Tatton family heritage. The park also has riding stables, a horticulture centre, children’s play area, athletics track, football pitches, tennis courts, bowls and golfing facilities. Northenden Riverside Park, opened in 2008 is the first new park to be established in the city this century and has been awarded Green Flag status. The Green Flag Award is the national standard for parks and green spaces in England and Wales and began in 1996 as a means of recognising and rewarding the best green spaces in the country. The area also has eleven other parks - Alderman Rodgers Park, Baguley Park, Chesterton Park, Culmere Park, Hollyhedge Park, Kirkup Gardens, Milky Button Park, Painswick Park, Peel Hall Park, Tayfield Park and Southwick Park, all managed by Manchester City Council. A conservation area protects the heart of old Northenden Village and its location within the Mersey Valley offers riverside walks and links to the Transpennine Way. Wythenshawe is also a good place to grow your own, boasting over 300 allotment plots. Wythenshawe has a rich community network with good quality services that are accessible to all and aim to improve the quality of life for all residents. The Wythenshawe directory provides further details for these community organisations.